DC Entertainment publisher of DC Comics has joined forces with Kia to collaborate on a series of eight cars that pay tribute to your favorite comic-book superheroes. The design of these customized rides will be overseen by artist and co-publisher of DC Entertainment, Jim Lee. 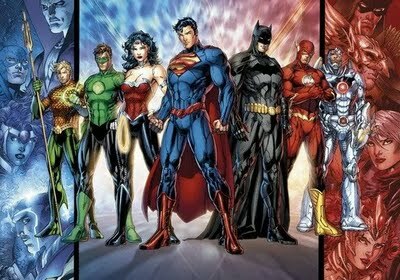 Each member of the Justice League – Superman, Batman, Wonder Woman, Green Lantern, The Flash, Aquaman and Cyborg will be matched with a vehicle that is built to match the character’s “key attributes and character traits.” The first car to be released will be a Batman-themed Optima. These awesome sounding cars will be debuted over the next 10 months at major auto shows and comic cons, including Wonder-Con and SD Comic-Con so go check them out and just maybe you might fall in love and absolutely need ride around Aquaman style. LEGO Lights the Way With Their…Lamps?